I always dislike the days when inspiration just isn’t coming to me and i have to basically force it out. Those are the times when it’s hardest to blog. I didn’t want to leave the day blank so i dug this up as just a quick flyby. It does however keep in theme with this week though. 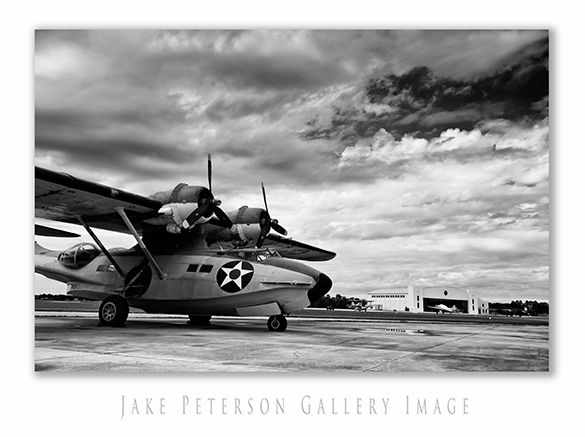 One of my favorite planes is the PBY. This multi-engine float plane was ideal for sea rescues, scouting, and transportation from Navy bases. Not many have survived in today’s world due to the rigorous work that is involved with keeping it flying. However, in mind it has always been and will always be one of the iconic aircraft for black and white images.